The Flatliners & Western Addiction 7"s out March 10th! 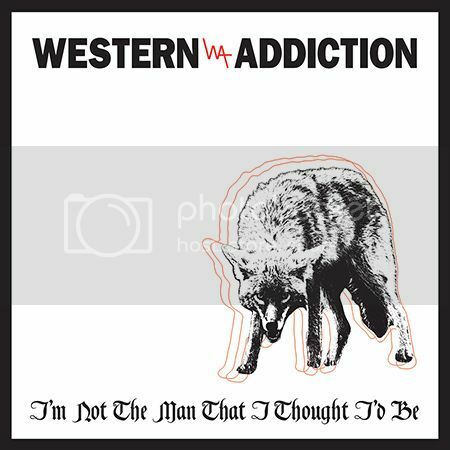 Next stop, we have a brand new three song 7" from San Francisco’s own Western Addiction! I’m Not the Man That I Thought I’d Be. The title track originally appeared on our limited edition 10" at FEST in 2014 and was premiered by Revolver! If you’ve been gnashing your teeth to hear more, the wait is over, because the release hosts two more brand new songs, one of which—“Clatter and Hiss”—is a demo of a song that will appear on their forthcoming album and which also marks the first appearance of bassist Tony Teixeira on a WA recording. Check out an extensive interview with singer Jason Hall about touring, writing lyrics and more, by Ryan Young (Off With Their Heads) on his podcast, Anxious & Angry. These two bands will be tackling Europe together with Lagwagon this March and April!